A punch is one of the best conveniences in the world if you're hosting a party. It eliminates the pesky bottle opening and serving situation, most punches can be mixed up in advance and they're super festive. 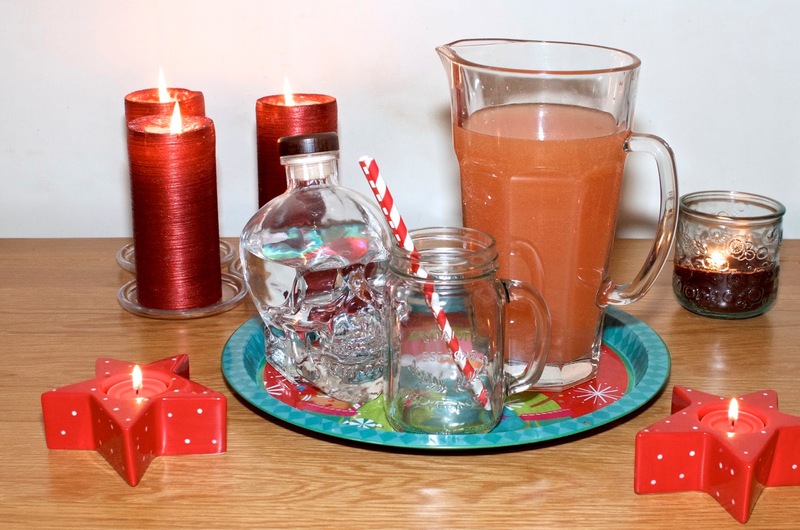 A serve it yourself set-up is great if you're hosting a big party or for cocktail hour before dinner while you're busy in the kitchen, but this delightful Christmas Spirit Punch can be mixed up in small batches too for a glass or a pitcher. It's a lovely, fruity concoction that's easy to make, deliciously refreshing and will certainly have you and any guests you're entertaining in the Christmas spirit! 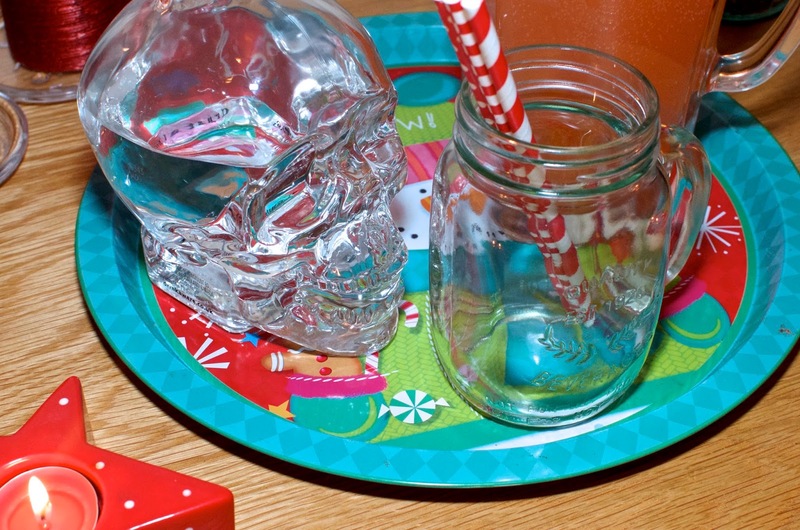 For this punch, I used Crystal Head Vodka, the rather infamous spirit that I knew best because it's owned by Dan Aykroyd and because of its signature skull bottle. This is a lovely vodka, smooth as can be and while it's sublime on the rocks or simply mixed with a bit of soda and a slice of lime, it also makes a crackin' cocktail or punch! Crystal Head Vodka is made with water from Newfoundland in Canada and then filtered seven times, three of which are through layers of semi precious crystals called Herkimer diamonds. With no additives, glycerol, citrus oils or sugars, this vodka is one of the purest on the market with nothing added to cover up its flavor. You may think the skull is a bit scary, but its not intended to be. It's actually meant to symbolize life, reflecting power and enlightenment. Knowing this takes it out of the spooky Halloween context and gives it a bit of a salon set quality. It's also beautiful in person... I actually love to display the ornate bottle next to the cocktails I'm serving when I use it and it always sits in the front of my bar cart. It's too fab to be hidden! 1. Pour all the liquid ingredients into a jug, punchbowl or a glass with ice and stir to combine. Serve over ice and sprinkled with nutmeg, or if your serving in a punchbowl or jug, simply sprinkle the nutmeg in directly. • If you're serving this punch in a punch bowl, try freezing juice ice cubes, cut fresh fruit in juice or water ice cubes or dump a pint or two of raspberry or strawberry sorbet into the bowl to keep it cold. • Freeze whole berries and add them to glasses, the pitcher or punch bowl to add festive color to the punch and keep it cold. • Substitute sparkling water for the ginger ale for a different, but still fizzy flavor. • For an added fruity kick, add a splash or two of Cointreau. 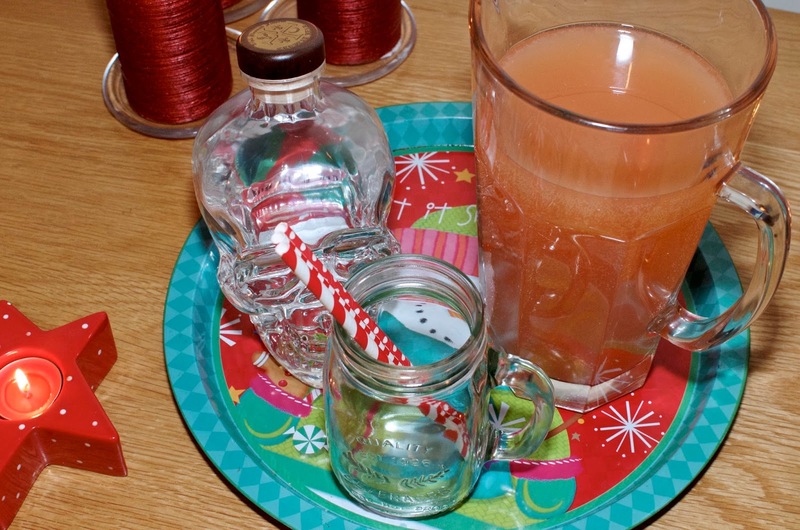 • If you have leftover punch, serve it as a dessert poured over lemon sorbet or vanilla ice cream the next day. For more information visit crystalheadvodka.com. 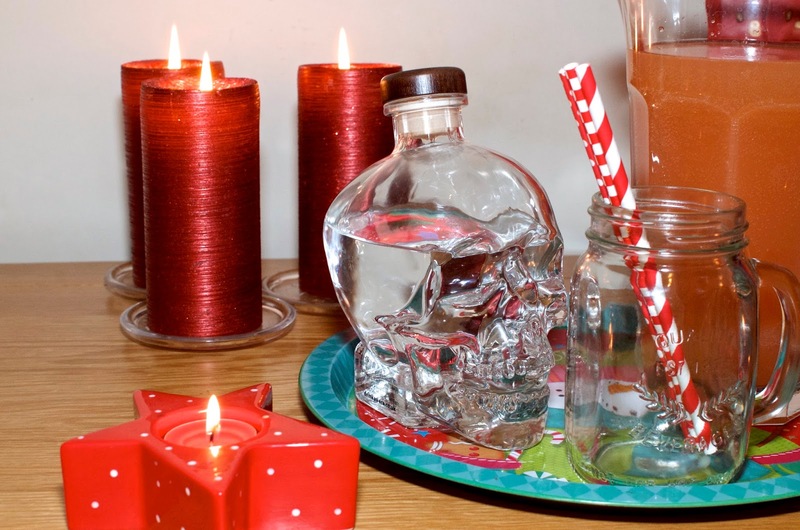 Crystal Head vodka is available online via John Lewis, Selfridges, Very and Littlewoods.